As I wrote last week, strategy is about making choices, and Apple has decided to not even pretend to pursue market share, but instead embrace their up-market status. As long as they retain their app advantage, this will obviously be a profitable choice. More importantly, it’s Apple doubling-down on what they are best at. I have railed against Blackberry and Nokia for trying to compete in areas they weren’t great at (OSs), instead of focusing on their strengths. Apple is doing just the opposite. They are avoiding a market share fight, which is ultimately about price and compromise, and are instead focusing on the experience of using their products and the advantages accrued by being fully integrated from the chipset to iTunes. I theorize that Nokia was either going to switch to Android or on the verge of going bankrupt. (I suspect the latter: part of the deal included €1.5 billion in financing available to Nokia immediately). And, had Nokia abandoned Windows Phone, then Windows Phone would be dead. Limiting design choices to things that can scale infinitely at near-zero cost is a recipe for making mediocre products. He has a bunch of good points there. Your situation will probably be different but it makes sense to try to look at the points he makes from your perspective. If you are interested in business thinking at all, read it. I would love for Horace and Ben to do a business podcast together. Steve Ballmer restructured Microsoft yesterday as a functional organization. The immensity of this change can not be understated, nor can the risks. Ultimately, I believe the reorganization will paralyze the company and hasten its decline. The numbers are broadly similar on Android, with an even sharper skewing towards free: 96 out of 100 of the top 100 grossing apps are free to download. 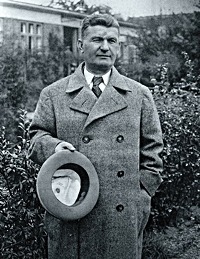 For my czech readers Tomáš Baťa needs no introduction, for the foreigners here: He is czech version of Henry Ford, for shoe industry, and more morally grounded one. Nice people in Tomas Bata University Library, Audioknihy.net and Tomas Bata Foundation with the financial support of Tomas Bata University in Zlin has produced free audiobook. Profesionally read by Alfred Strejček in czech version and by Josef Guruncz in the english. Download the czech or english version of the audiobook (MP3, 770 MB). There’s a YouTube playlist by The Fuqua School of Business with seven short videos (about 3 minutes each) from interview with Apple CEO. You can play them all here. In other words, Android, like Plus, allows Google to tie searches and advertising to individual people and places. In the long term, the data that Google gets from Android users is probably just as important as Pagerank in understanding intent and relevance in search. Hence, the real structural benefit to Google from Android now comes from the understanding it gives of actual users, and the threat comes from devices that do not provide this data – even if, like the iPhone, they do provide plenty of search traffic. For a coherent strategy to work, then, the organization executing it must be measured as a whole, rather than as parts. In other words, if a company is to have a single strategy, it must be driven by a single P&L. Enterprise customers have been locked into overpriced, underperforming software and equipment for a decade or more, and the’ve been loath to spend money to change things. But now it seems a huge transformation is about to occur, driven by mobile devices, cloud platforms and the software-as-a-service business model. But his vision is too narrow. This is not just about building better products against SAP or Microsoft. This is about opening whole new market niches which couldn’t be approached before. Ultimately it will be about more than trillion dollars. Coincidentally, I will be speaking about this next week at FOWA in Prague. Paul Graham has written another one of his essays. Good write-up of the thinking behind the basics of SaaS pricing models by Ray Grieselhuber. As a startup, if you want to survive, you have to pick a model. Everybody starts off by thinking they are low on the complexity scale (“our product is simple!”) so they believe self-service is an efficient model for them. But complexity, in this discussion, has nothing to do with simplicity in the user experience (elusive in its own right) but the complexity of your user acquisition and total cost of service. I’ve been thinking a lot about this lately because we’re finishing up a brand new product. In some ways it’s entirely new territory for us, but in other ways it’s familiar. I agree with his point and am looking forward to the new product. I bet I will learn something from 37signals again. Horace Dediu is killing it again, this time with James Allworth. Just one of the many thoughts: The cycle of disruption – When product is not good enough (in disruption theory kind of sense) the market tends to be better for integrated player (e.g. Apple). If a product is good enough it tends to favor modularization. Modularization in turn leads to being open for disruption (not just) from your suppliers that integrate in some new way. And we are at the beggining of a new cycle with new integrated player.